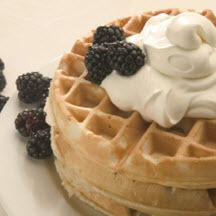 CooksRecipes has quality, kitchen-tested recipes for waffles that you can count on for successful deliciousness. 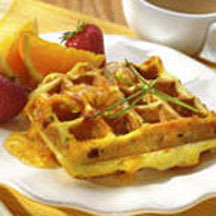 These delicious, savory waffles pair perfectly with warm, subtly sweet orange marmalade or maple syrup. 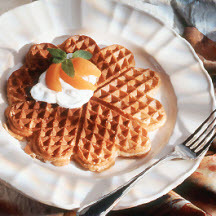 Recipe courtesy of the California Fresh Apricot Council.